Italy has been since the Chernobyl catastrophe a huge opponent of nuclear. However, the newly elected government is planning to get back to using this energy source. This happens as the country depends on 60 percent on natural gas for its electricity, which is a huge problem as prices are soaring. This happens as some companies plan to build coal-fired plants in the country. I hope these plans will be abandoned and replaced by the nuclear ones. Italy’s newly elected government said Thursday that within five years it planned to resume building nuclear plants, a type of energy that the country dropped 20 years ago after a referendum resoundingly condemned nuclear power. The sea change for Italy is a sign of the times, reflecting growing concern in many European countries over the skyrocketing price of oil, energy security, and the warming effects of carbon emissions from fossil fuels. All have combined to make this once-scorned form of energy far more palatable. 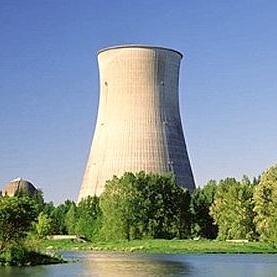 “Italy has had the most dramatic, the most public turnaround, but the sentiments against nuclear are reversing very quickly all across Europe – Holland, Belgium, Sweden, Germany and more,” said Ian Hore-Lacey, spokesman for the World Nuclear Association, an industry group based in London. (…) Nuclear power’s rehabilitation was perhaps best illustrated earlier this year when John Hutton, Britain’s secretary of state for business, enterprise and regulatory reform, grouped nuclear power with “other low carbon sources of energy” like biofuels. It had barely been mentioned in the government’s energy white paper three years earlier. (…) But conditions were very different in the 1980s, when European countries turned away from nuclear power: Oil cost under $50 a barrel, global warming was a fringe science, and climate change had not been linked to man-made emissions. Perhaps more important for the public psyche, Europe’s nuclear bans and restrictions were almost all enacted in the years after the 1986 Chernobyl disaster in the Soviet Union. The equation has changed: Today, with oil approaching $150 a barrel, most European countries, which generally have no oil and natural gas resources of their own, have been forced by finances to consider new forms of energy – and fast. New nuclear plants take 20 years to build. Also, instead of Chernobyl, Europeans have more recently watched in horror as the Russian president, Vladimir Putin, cut off the natural gas supply to Ukraine in a price dispute, leaving that country in darkness. New green technologies, like solar power, wind and biofuel, have not yet been scaled up to the point where they can form the backbone of a country’s energy strategy, and it is not clear that they would ever achieve that success. Italy is the largest net energy importer in Europe, but nearly all European countries rely heavily on imported energy, particularly oil and natural gas. Enel, the leading energy provider in Italy, announced this year it would close its oil-fired power plants because the fuel had become unaffordable. Italians pay the highest energy prices in Europe. ENEL has been building new coal plants to fill the void left by oil, a move that created controversy in itself: Coal plants are less expensive but create relatively high levels of carbon emissions, even using the type of new “clean coal” technology that ENEL had planned. The president of the European Commission, José Manuel Barroso , spoke Thursday in favor of nuclear energy, saying it could be a useful tool in the fight against climate change, The Associated Press reported from Prague. “Nuclear energy can make a major contribution to this battle with climate change,” Barroso said in a speech at the opening of a two-day meeting of the European Nuclear Energy Forum. “In addition, nuclear energy is one of the cheapest low-carbon energy sources and with less vulnerability” to price changes, Barroso said. “We respect the different positions of the member states,” he said, adding that each EU nation had “an absolute right” to decide freely among different energy sources. To me this is good news, as yes renewables are great, but no they won’t be able to provide us with all the energy we need any time soon. I will publish an article on this very topic in the very next days, if not tomorrow. Besides, I prefer that Italy – and any other country – build nuclear power plants with improved security that any coal fired plants. The difference of carbon dioxide emissions is one to fifty, which is a lot. Interesting. How is this calculated? Do you have a reference for this? Hello Meryn and thanks for your comment. Yes I have a reference, and even no less than three. They were the subjects of an article I did in French (ooops, not translated yet I am afraid). Out of the three studies I used, one comes from the French CEA, another from a French research party and the last one is the World Nuclear Association. Basically to produce a kW-h, coal emits a kilogram of carbon dioxide and nuclear about twenty grams. I’m sorry Edouard, with all do respect, I think this is the worst decision Italy can make, and the tragedy of it is that we here in Germany are being influenced by what Italian politicians are saying. Having just done work in Spain on the Solar Power towers in Seville and Almeria, and toured the countries rapidly growing Concentrated Solar Power and wind farms, I can tell you that renewable energy is not only the fastest growing new technology sector in Europe but that it will provide the energy we need much much faster than Nuclear. It is actually nuclear energy that “won’t be able to provide us with all the energy we need any time soon”. The article we both read on Italy’s supposed “turnaround” on nuclear power even states that it will take 20 years before new plants come on line, even if construction started today. These are very complex ways of boiling water, and very dangerous. Solar power towers however, like the 300 MW field being built near Seville, take only a year or two to build and start producing safe, clean, reliable power immediately — we were just visiting the beautiful 11 MW tower last month which is providing for 6,000 homes. right now. I think nuclear lobby shills are propagandizing false virtues for the other methods of boiling water and if you actually examine the economics and the engineering you will see that nuclear energy is a red herring. My NGO, “solar cities” builds solar water heaters out of local and recycled materials in the slums of Egypt because solar energy is so SIMPLE to capture and use. It’s only true barrier is the necessary economies of scale, the need for an infrastructure, and mobilized political will. All of this could be achieved within a five year time line, not the 20 year one required to get a nuclear infrastructure in place. And ultimately, given that Italy has 235 tons of radioactive nuclear waste still being stored onsite at the old reactors (great for terrorists to fantasize about) we can’t keep producing more and hope for a viable future. So WHEN will we start the investment in the renewable energy infrastructure that merely requires, cement, steel, glass and copper instead of the hi-tech or dangerous materials rogue countries like Iran are trying to produce and service? Grazie for listening! > Thanks Thomas for your comment. I disagree with you but approved your comment. I love solar, I am a huge fan, as a matter of fact I hope to work one day for this great industry. But it won’t provide more than ten percent before long. The only thing to me is that it doesn’t provide enough energy. You talk about a 300 MW plant. That’s not much compared to the hundreds of GW required daily around the world. No solution is perfect, I stated it there. Nuclear has its issues, of course, but like solar, wind or any other solution. Hope you will appreciate reading this blog and many thanks for your interest in my blog.